The Belltowers – Give Me Religious Liberty or Give Me Business? Give Me Religious Liberty or Give Me Business? 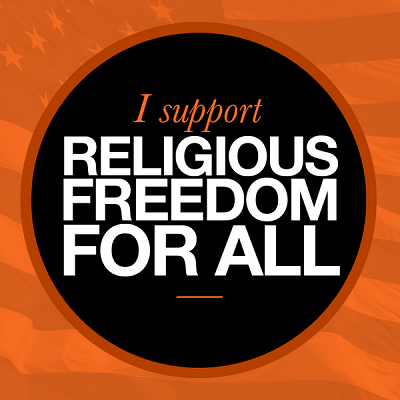 Should Texans be forced to choose between providing for their families and practicing their religious faith? What about their right to free speech or their right against unreasonable searches and seizures? Should the government be able to condition our right to earn an honest living on our willingness to surrender our personal liberties? Hint: If you believe in a vibrant and working Constitution, the answer is no. Yet, that’s the argument the Obama administration made last week, when it appeared before the U.S. Supreme Court to defend Obamacare’s controversial contraception mandate. According to the administration, individuals surrender certain personal liberties the moment they enter the market and accept the corporate form. Such thinking threatens to unravel the very premise of limited government. In the past two years, more than 94 cases have been filed against the administration’s contraception mandate, including five here in Texas. That’s 300-plus plaintiffs challenging the government’s decision to force employers to subsidize services that violate their deeply held religious beliefs. For example, Hobby Lobby remains closed on Sundays; it abstains from promoting alcohol; and it provides employees with a wide variety of free counseling services. More relevant here, the Green family does not wish Hobby Lobby to subsidize certain drugs that they believe may induce an abortion. Hence, the Greens have brought suit against the federal government under their corporate identity, claiming that the mandate violates their First Amendment rights. The Obama administration disagrees. It argues that not only does the mandate not substantially burden the Greens’ religious beliefs, but that the Greens lack a First Amendment right to defend. By the administration’s reckoning, the Greens did not acquire Hobby Lobby’s corporate status for free. Instead, the Green family surrendered their right to organize their business around religious principles the moment they accepted the tax and liability benefits of the corporate form. In other words, the price of incorporation was forfeiting full constitutional protection. There’s a legal term for this type of weighted bargaining — an unconstitutional condition. The Supreme Court has ruled time and again that the government cannot deny someone a benefit just because he or she wishes to exercise a constitutional right. Otherwise, the government could evade constitutional limits simply by withholding access to critical services. Left unchallenged, that’s exactly what the administration’s legal position threatens here. The fact is that the corporate form has become an indispensable tool in today’s complex economy — one that makes entrepreneurship even possible. Without a corporation’s limited liability, prospective entrepreneurs would be hard-pressed take the risks that are necessary to start a business, much less see it grow. So essentially, by conditioning the benefits of incorporation on the forfeiture of certain constitutional rights, the administration presents the Green family and other entrepreneurs with an untenable ultimatum. Incorporate and lose your shield against government overreach, or retain your personal rights but subject yourself to a severe competitive and legal disadvantage. That’s some choice. On one hand, you lose your assurance that the government will respect your inherent dignity. On the other, you’re denied access to a basic and essential means of providing for your family. Put simply, this administration has taken your right to earn an honest living hostage. Only in this screenplay, the ransom is your personal liberty, and the phone won’t stop ringing until every brick in the road to tyranny is paid. Because let’s be honest. 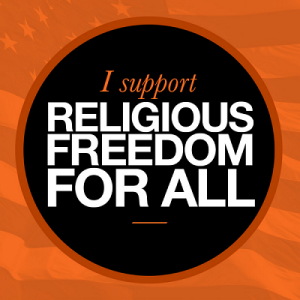 The government will not stop with religious liberty. Already, this administration has argued that incorporated businesses and nonprofits have a diminished right to free speech. What’s to stop the government from claiming that entrepreneurs forfeit their right to a trial by jury or their right to own private property? Unless the Supreme Court intervenes, the contraception mandate could set a precedent that the cost of doing business — the cost of providing for one’s family — is possible surrender of personal liberty. That type of thinking cannot be reconciled with our system of constitutional governance. Kathleen Hunker works as a policy analyst in Austin, Texas. She is a graduate of Columbia University School of Law and the University College London, where she earned an J.D./ LL.M. in public law and human rights. Follow her on Twitter @KathleenHunker. NOTE: This story originally appeared in the Austin American-Statesman. It was reprinted with the author’s permission.